The interest in Nutrition manifested by the world of science is relatively recent. Derived from Chemistry and Physiology, this discipline is a meeting point of the sciences (Medicine, Biochemistry, Agronomy, Economics, Ethno-Sociology...). It is only after the First World War that food problems are treated methodically. Yet hunger, a scourge that affects many hundreds of millions of persons on our planet, has been even more baneful, proportionally, in preceding centuries. 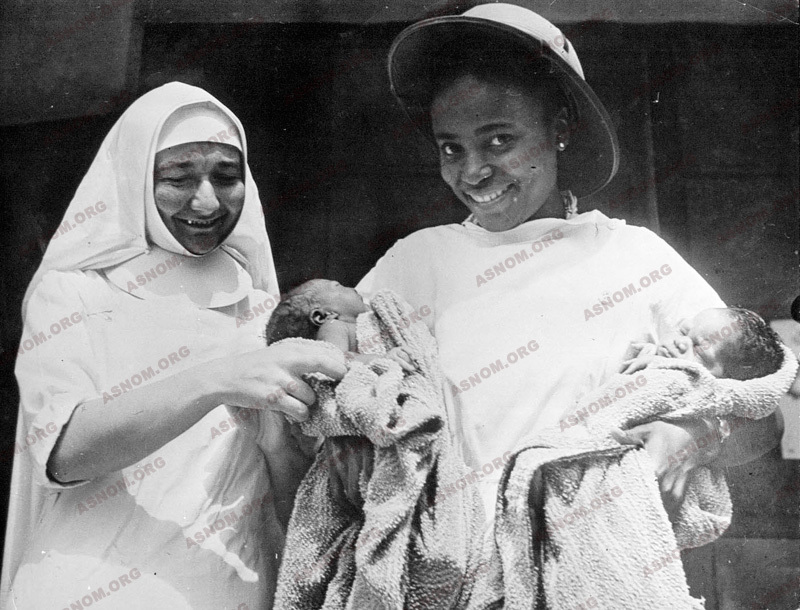 In 1925, a note from the Ministry for the Colonies, inspired by Lasnet*, invites the Colonial Health Service to take an interest in the feeding of the populations. There are numerous tasks to be accomplished. - Chemists study the composition of the food consumed by overseas populations. - Physicians and chemists try to determine the alimentary needs of the natives. - The physicians are confronted by the ill-effects of diet deficiencies and expound their reality even before the discovery of the first vitamins in 1913. Beriberi, scurvy and protein deficiencies are the most evident. A complete inventory of this pathology is undertaken. - The Colonial Health Service takes an active part in making people aware, nationally and internationally, of the nutritional problems in developing nations. The creation in Dakar, in 1953, of the Organization for Research on Alimentation and Nutrition in Africa (ORANA) gives a boost to these studies which are based on the numerous investigations undertaken. After independence, this establishment and its network of activities becomes a part of the OCCGE. The Colonial Health Service will also participate in the creation of the United Nations Food and Agricultural Organization. In 1933, a report entitled "Indigenous alimentation in the French colonies and mandated territories" assembles the knowledge acquired since 1925 about the value of the food consumed and the nutritional needs of the populations. Local products of vegetable origin such as groundnut, tropical cereals (millet, sorghum, rice...), tubers (manioc, yams...) and of animal origin (milk and its derivatives) are analysed and their constituents identified. Bloch*, Laffitte*, Pluchon* and other colonial chemists participate in this work. In Indochina, Autret* establishes a laboratory of food hygiene at the Pasteur Institute of Hanoi and makes a list of the components of South East Asian aliments while Auffret* determines their vitamin content. In West Africa, from the fifties onward, Toury*, Busson* and their teams make a complete inventory of the foodstuffs and determine their composition. Bergeret* does the same in Cameroon, Perissé* in Togo, Floch* in Guyana. Natural waters are analysed for their iodine and fluorine content. Mothers' milk and that of animal origin are also subjected to analysis. It is found that there are important variations from one continent to another in the same foodstuff. These charts of the composition of common foodstuffs, showing their content of carbohydrates, lipids, proteins, minerals and vitamins, have been published. They are now being used by international organizations. In the Pharo, a modern laboratory for food analysis is established in 1955. The work, directed by Busson* and Lunven*, on the quality and the quantity of proteins in traditional foodstuffs, serves to establish charts for Africa vjo was publied by the "Food and agricultural organization" (F.A.O). From the beginning of pacification and simply in order to assure food supplies, Martial* takes an interest in the value of the rations distributed to Senegalese infantrymen. Cheyssial* and Pastenotre* study alimentation among the civil populations of Togo and the Peulhs, respectively. Autret* does the same in Indochina among the native workers and soldiers. The revelation of the devastation caused by famine and food restrictions during the Second World War awakens considerable interest and incites governments to create specialised institutions to determine its extent, causes and effects. France, preoccupied with the nutritional situation in the overseas territories, creates a "Food and Nutrition" section within the context of "The West African Anthropological Mission", directed by L. Pales*. In these countries where food shortages are common due to natural or human causes and which are subject to widespread poverty with lack of infrastructures and qualified personnel, children are the most vulnerable members of the population and their wellbeing is the prime objective of the public health programmes set up by the Colonial Health Service. 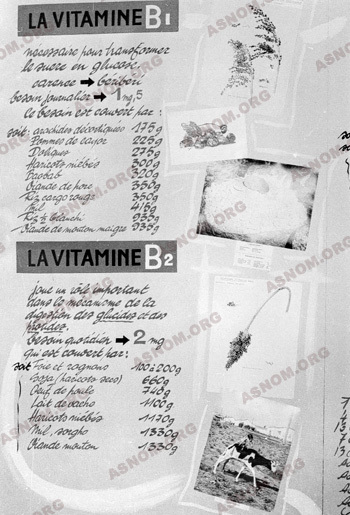 In 1947, an "overseas section", directed by Autret*, is created within the French National Committee for the Coordination of Studies and Research on Nutrition and Alimentation. Finally, in 1953, the Pales mission in Dakar is transformed into an organization for research on African alimentation and nutrition (ORANA) directed by Raoult*. Investigations on food intake are then made on samples of the population and are considered together with the clinical and anthropological facts relating to individuals. The aim is to devise programmes of prevention. These investigations reveal frequent deficiencies in proteins, calories and vitamins, especially in rural environments, during the "interim period" just before harvesting. Clinical signs of malnutrition are often evident. Unfortunately, these investigations made within the Health Service generally end up only in modest programmes, limited in time and insufficiently financed. It is then that the idea of including a section on "Alimentation" in the national investigation of consumption and the household budget is conceived. This makes it possible for nutritionists to take part in the study of the results, have some influence on the politics of food supply and also on the realisation of very ambitious programmes in the plans for economic development (Autret*, Périsse*). This concept is rapidly adopted by the F.A.O. The discovery of these diseases is due first of all to naval physicians and then to colonial doctors who witness and embark on their study. The first intuition is that certain pathological manifestations "must be attributed to the absence or insufficiency of certain elements in the food ration", reports le Dantec*. And then, quite remarkably, the means of preventing these disorders is discovered empirically long before their cause is determined; it is observed, for example, that the use of lemon juice prevents scurvy. After the discovery of vitamins at the beginning of the Twentieth Century, there is a long interval before the notion of vitamin deficiency or avitaminosis is generally accepted. In 1936, more than twenty years after the discovery of Vitamin B1, two great tropical physicians, Joyeux* and Sice*, still hesitate between two etiologic conceptions of beriberi - one which accords it a toxic and infectious origin and the other an alimentary one. In the annual health report of the Ministry for the Colonies, until 1938, beriberi figures among the "transmissible endemoepidemic diseases". Finally, the limits of deficiency diseases are more precisely defined and the measures necessary for their prevention in the communities taken, for the prevention of nutritional pathology is dependant on the eating habits of individuals. The diversification of aliments becomes the golden rule. Beriberi, a frequent disease in populations whose basic food is rice and described by the Chinese as early as the seventh century, doesn't yield its secret until the discovery of Vitamin B1 in 1913. It's due to a deficiency of this vitamin. Oedema of the calves is followed by the gradual paralysis of the lower limbs, digestive problems and a heart attack that could lead to death. The minimum mortality rate, according to Le Dantec*, is 15 %. Among the French colonies, it occurs most frequently in Indochina, to be precise in Cochinchine, where one finds 95 % of the cases. Beriberi commonly afflicts coolies on worksites or in the plantations and again prisoners, all these groups being fed by a central kitchen using industrially polished rice. In 1910, in the Hanoi prison, the disease causes 75 deaths per year. From 1904, Grall* decides to "replace a good percentage of white rice with red rice in the diet of the inmates" in the Saigon prison. In one year, among 700 consumers, the number of deaths due to beriberi drops from 76 to 3. The same effect is observed in the whole of South East Asia : it seems that a varied diet of the European type or a local diet in which red rice is partly substituted for white rice prevents beriberi (when Vitamin B1 is discovered, one observes that it is present in the covering of the grain of rice, the red coat which disappears when the grains are polished). However, avitaminosis diminishes very slowly. In 1938, in the whole of Indochina, 26 067 patients suffering from beriberi are registered, of which 3 089 are hospitalized and 223 expire. Outside Indochina, beriberi, present everywhere, is observed only in military camps and among workers and prisoners. Boye* reports an epidemic in French East Africa (AEF) in the Congo-Ocean railway worksite, after the substitution of industrial rice for manioc in the food intake of the workers. The worst epidemic in this worksite took place in 1927 with 696 cases and 158 deaths. In 1940, the annual reports indicate 298 cases in Madagascar (of which 206 are in a military environment), 72 in Black Africa, 182 in the Pacific of which 42 are in the New Hebrides. In these latter regions, the patients are mainly local workers. Gums swollen and bleeding, becoming rapidly over-infected and sensitive; bruises spread over the whole body; painful and profound haematoma in the muscles and on the bone surfaces; diverse haemorrhages - gastric, urinary... These are the symptoms of scurvy, some patients dying of marasmus or anaemia. Frequent in Europe during wars, sieges and famines, scurvy is then confined to camps of refugees and prisoners. On the other hand, it has always been the terror of the crews of sailing ships on long voyages. English sailors discover the preventive role of fresh food and especially lemon juice. Vitamin C, discovered in 1933, is a fragile substance that doesn't survive stocking, heat and prolonged desiccation. It exists in fresh vegetable products. It cures scurvy spectacularly. 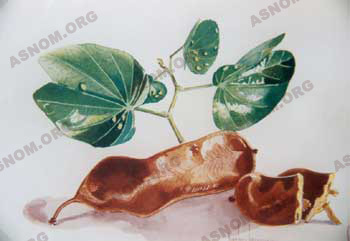 This disease is therefore an Avitaminosis C.
Watercolours by Bergouniou : Bauhinia with anti-scorbutic properties - Détar : a fruit rich in Vitamin C (Auffret* and Tanguy*). In the Colonial French Empire, scurvy is rarely observed in villages. It appears only in the form of epidemics in working communities where the diet provided by the enterprise is monotonous and lacking in fresh provisions. It is observed in the prisons of Indochina and Mauritania. Grail* witnesses an epidemic involving some twenty odd cases in Dakar in 1943, the victims being Ivorian dock labourers. The error in the diet is soon rectified, all the more easily as colonial chemists show that natural sources of Vitamin C abound in the tropics : lemons, oranges, mangoes, papayas as well as the leaves and pulp of the baobab. For many centuries, the notion of a "humid" beriberi has prevailed, the first description of which can be traced back to Chinese physicians of the tenth century. Subjects suffer from swellings, with oedemas that appear in the legs and then spread out over the whole body; the stomach is distended and tense, the face is puffed up. These symptoms are labelled "epidemic hydrops", particularly in the Indies. They are also observed on board ships engaged in long campaigns. In 1906, Le Dantec* makes a study of several cases and gives the disease the provisional name of "nautical beriberi", not without being intrigued by two pieces of evidence : that the sufferers are not rice-eaters and that the provision of brewers' yeast, a substance active against beriberi, has no effect. In 1913, Guillon* gives the name "bouffissure d'Annam" ("Annam's puffiness") to the disease he observes in the region of Hué, where the patients have more or less generalized oedemas with an effusion of the peritoneum. The phenomenon has an epidemic character. The cause remains undetermined but Thiroux* reports that most of the patients are bearers of intestinal worms (ankylostoma). In 1925 Norbet*, the Director of the Hué Laboratory, takes over the investigation and he too thinks that "it is likely to be a deficiency brought about by the ankylostoma". The epidemics occur when there is a food shortage and only affect the most needy persons, peasants and coolies. The three main symptoms are a potbelly with the abdomen full of liquid, the weakening of the muscles and severe anaemia. After administering doses of nitrogenous compounds, according to the means available at the time, he notes a corresponding diminution of the urea content in the blood of the patients and in their urine. He puts forward the hypothesis of a protein deficiency which he confirms by injecting, subcutaneously, a solution of amino-acid. The oedemas disappear, the amount of urea rises. The previous mortality rate of 95 % becomes rare. The ill effects of protein deficiency have just been discovered and demonstrated. So the idea is conceived that oedemas which seem to be epidemic and affect mostly children are due to food lacking in proteins. They are similar to oedemas of famine observed in Europe in times of food shortage. In sub-Saharan Africa, about the same time, related syndromes in children are described by colonial physicians and attributed "in all likelihood to alimentary causes". 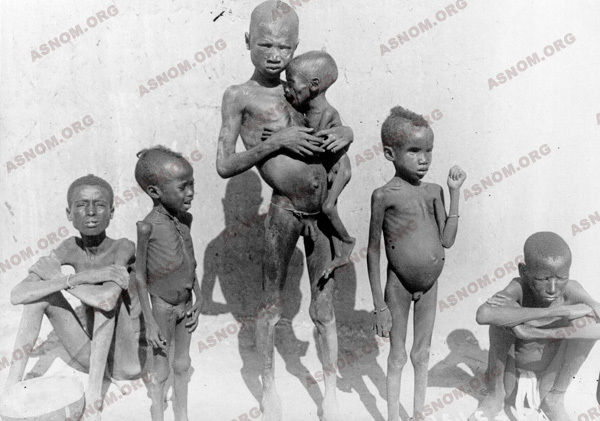 In 1934, Cavalade* in Niger reports cases of "malignant malnutrition". In Cameroon, Lieurade* speaks of "red" children. 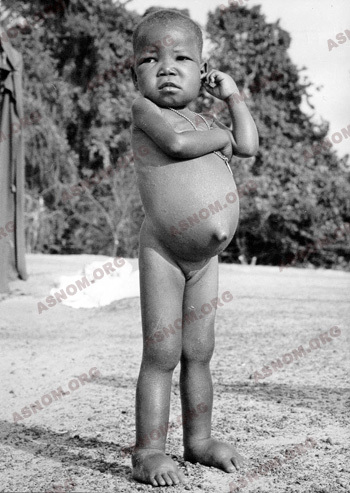 They are precursors in the study of Kwashiorkor or the syndrome of malnutrition in proteins and calories during the period of weaning or just after. - Marasmus with extreme thinness, atrophy of the muscles, the skin flaccid and creased, making a child look like an elderly person. - Kwashiorkor with oedemas in the body and the face; the skin cracked, discoloured and falling to pieces; hair red and brittle; apathy and refusal of food. 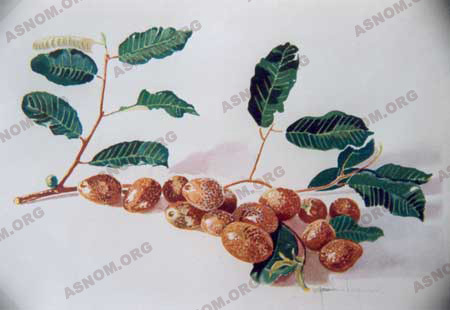 Later, besides the network for maternal and infantile protection, centres of nutritional recuperation are put in place in the AOF (French West Africa) by Raba*, while Raoult*, Toury* and then Lunven*, in the laboratories of the ORANA, study local foodstuffs capable of remedying protein deficiencies. In consequence, the agro-alimentary programmes of the territory are reoriented. After the end of the Second World War, ascribing diseases to deficiencies becomes very common. Illnesses whose causes are not known, inexistent or scarce in developed countries and which, on the other hand, are frequently observed among the natives of the tropics are presumed to be the results of deficiencies. All the organs of the body are concerned: the heart, the intestines and the brain. Little by little, scientific progress combined with reason denounces the excesses. Working in the region, the physicians of the Colonial Health Service propose that one should label as deficiency diseases only those syndromes in which a treatment of substitution produces a significant effect. 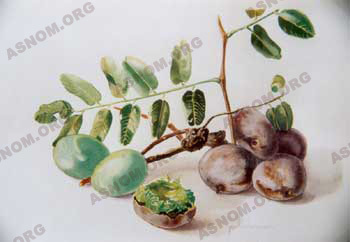 Thus they play an active role in the study of deficiency diseases. Toury* shows that cases of Avitaminosis A, frequent in Indochinese children, are rare in sub-Saharan Africa. It's the same with pellagra and rickets. On the other hand, especially in black children, Vitamin B2 deficiency is widespread. Certain cases of anaemia in children and in pregnant women are also recognized as nutritional or deficiency diseases (Toury* and Coll), peripheral neuropathy of the lower limbs (Collomb* and Giordano*), hypotrophy of the parotid gland (Raoult*). Particular attention is given to epidemic goitres, a cosmopolitan phenomenon related to a deficit in the supply of iodine. According to the WHO, 200 million people in the world are affected. Numerous investigations are made in French Black Africa. In 1950 Pales*, basing his conclusions on a study of four million individuals, evaluates the percentage of goitre victims in French West Africa (AOF) as 8.3. The ORANA continues its work, particularly the analysis of terrains supposed to be goitre-generating. Toury* et coll concentrate on introducing, on an industrial scale, an iodine supplement into the salt used in food. As early as 1924, a report by Roubaud*, submitted by Calmette* to the Colonial Academy of Science, stresses the fact that native populations are undernourished and invites the French parliament to make budgetary efforts to alleviate the situation, especially in Equatorial Africa, which has been declared a "colony in danger". The Colonial Ministry classifies under-nourishment as the main epidemic responsible for the devastation and the degeneration of native populations. This acknowledgement has no effect for two reasons: the funds allocated to the Health Service are limited and being undernourished is considered a purely medical problem. However, Lasnet*, in a Colonial Ministry instruction, strongly expresses his conviction that the treatment of under-nourishment must be a project of cooperation between Agriculture, Health and Education, formulated in a truly strategic national food programme. It is only in 1935 that the Society of Nations refers to "the marriage of Health and Agriculture" and it takes ten more years to realize the triple association of Agriculture, Economics and Nutrition. In 1937, the Institute of Hygiene of the Society of Nations organizes in Bandoeng the first inter-governmental conference of Asian countries. The Colonial Health service is represented by Dorolle* and Autret* who make a report of their observations in Indochina. After the 1939-1945 war, the first reports of L. Pales* on nutrition in Africa have such repercussions that they give rise to the first inter-African conference on alimentation and nutrition held in Dschang, Cameroon, in 1949. Its organizer is Autret* and, besides the French participants, there are also the Spanish, the Portuguese, the British and the South Africans. One of the recommendations is concerned with the training of specialists. This leads to the opening of international courses on nutrition at the Pharo school of implementation in 1952 and, in 1955, at the instigation of Autret*, 65 nutritionists - French, Belgian, Portuguese, Italian and Haitian - are trained there and, among them, some thirty odd physicians and chemists of the Colonial Health Service. Most of them then get appointments in research centres such as the ORANA in West Africa, the ORSTOM in Togo and Cameroon, in organisations for combating serious epidemics in Equatorial Africa, the Health Service of Madagascar or the Pasteur Institute of Guyana. Some of these specialists are then sent to work in the United Nations Organization - in the Food and Agricultural Organization (F.A.O) or the World Health Organization (W.H.O) where their experience on the terrain and their spirit of innovation have greatly influenced the strategy of these international institutions, in complete accord with the Agriculture-Health-Education concept developed by Lasnet* as early as 1926. The 1996 World Nutrition Summit, where 186 countries were represented, solemnly pledged to reduce by half the prevalence of hunger before 2015. 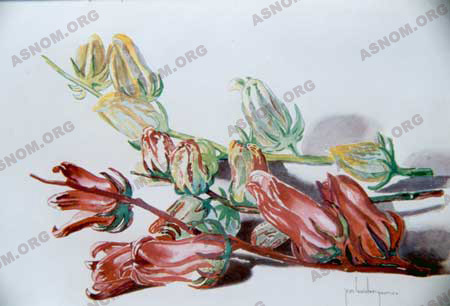 Watercolour by Bergouniou: Sorrel of Guinea, a plant whose calyx is used in the preparation of soups, sauces and drinks. - M. Autret. : L’oeuvre de Corps de santé colonial dans le domaine alimentation-nutrition Outre-Mer. Médecine et Nutrition 1992, 28, 5, 273-284.